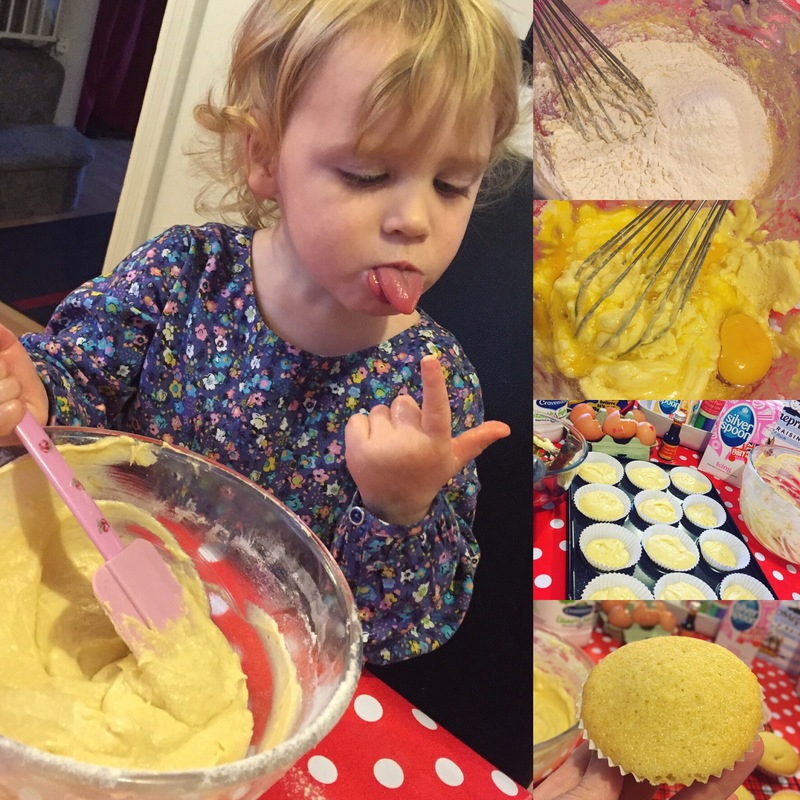 Dear mummy, we’re awful in the kitchen but managed to participate in some home baking over the weekend. 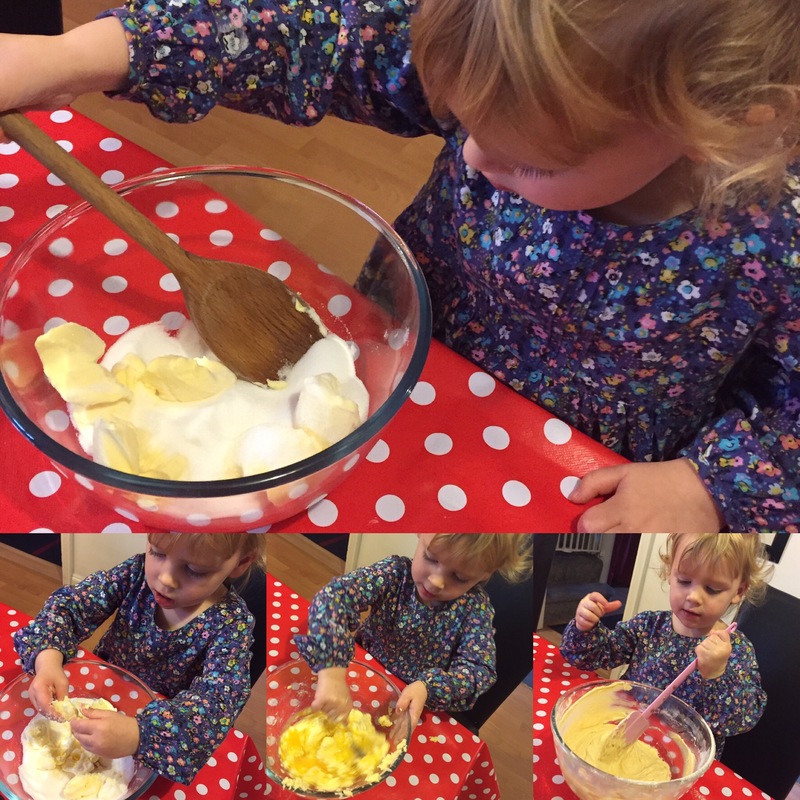 This isn’t your Pinterest amazing cake baking I hasten to add…this is REALLY messy toddler baking, the sessions where you spill a whole carton of flour on the floor and add too much sugar to the recipe. So we were amazed we managed to get something edible and reasonably decent looking out of our home baking session. 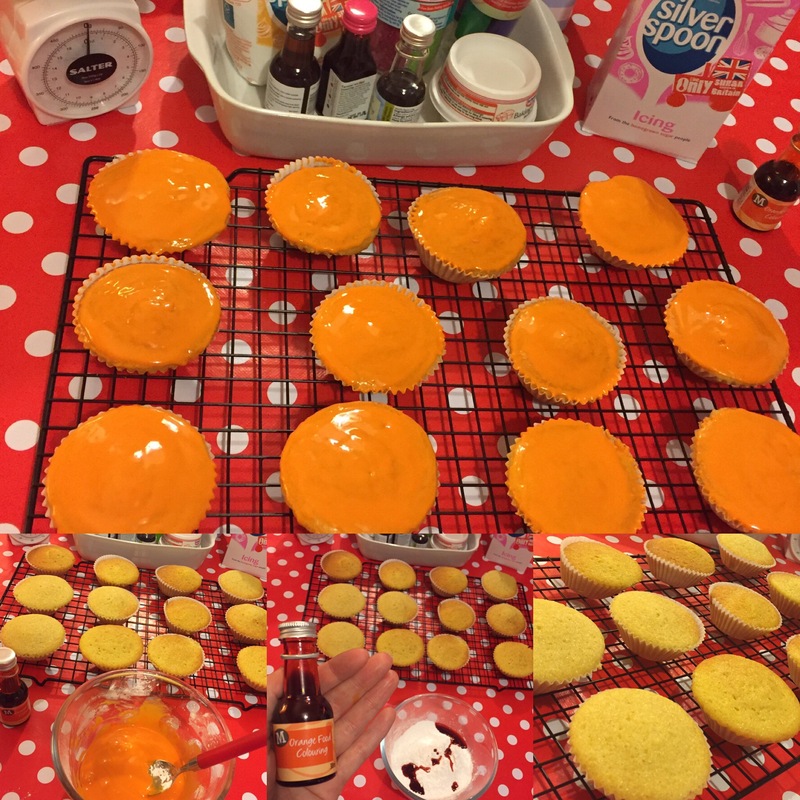 We just made fairy cakes and decorated them with icing sugar coloured orange to resemble pumpkins. 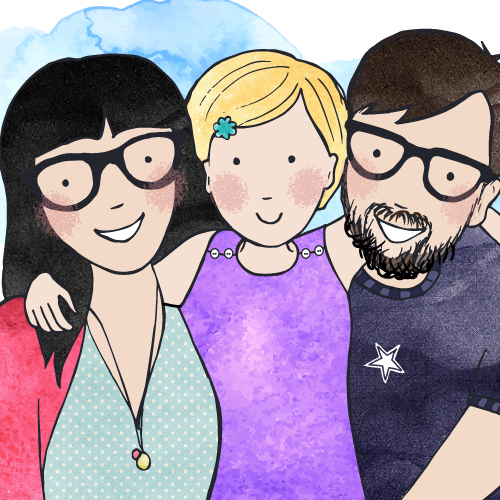 My mummy had been to Morrisons and picked up some easy icing pens to decorate the cakes. 1. Preheat the oven to 180C/350F/Gas 4 and line 2 x 12-hole fairy cake tins with paper cases. 2. Cream the butter and sugar together in a bowl until pale. Beat in the eggs, a little at a time, and stir in the vanilla extract. 3. Fold in the flour using a large metal spoon. Add a little milk until the mixture is a soft dropping consistency and spoon the mixture into the paper cases until they are half full. 4. Bake in the oven for 8-10 minutes, or until golden-brown on top and a knife inserted into one of the cakes comes out clean. Set aside to cool for 10 minutes, then remove from the tin and cool on a wire rack. 5. For the icing, sift the icing sugar into a large mixing bowl and stir in enough water to create a smooth mixture. Stir in the orange food colouring. 6. 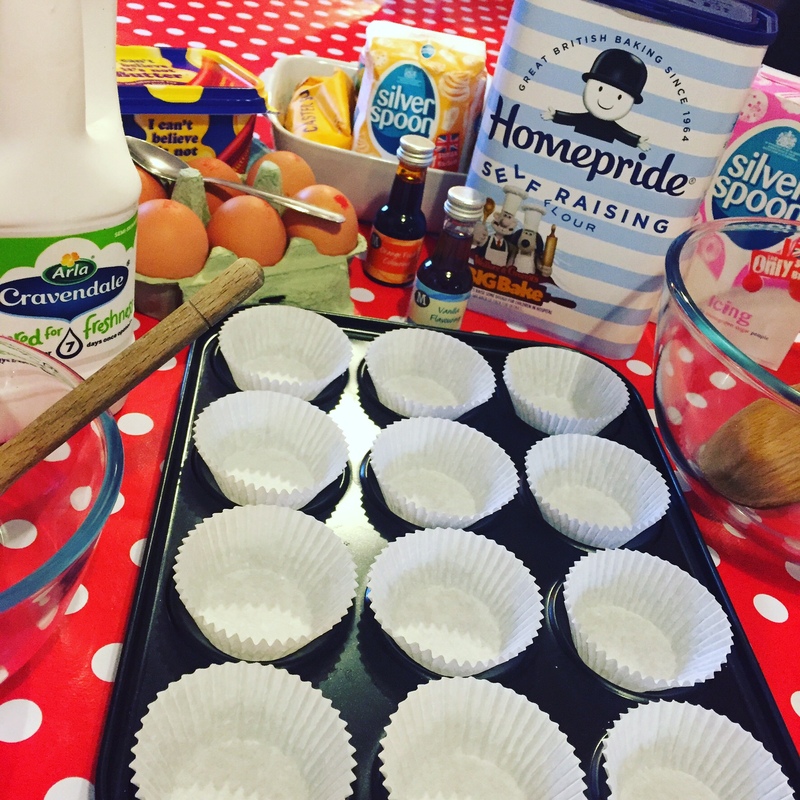 To ice the fairy cakes, drizzle the icing over the cakes and set aside until the icing hardens. 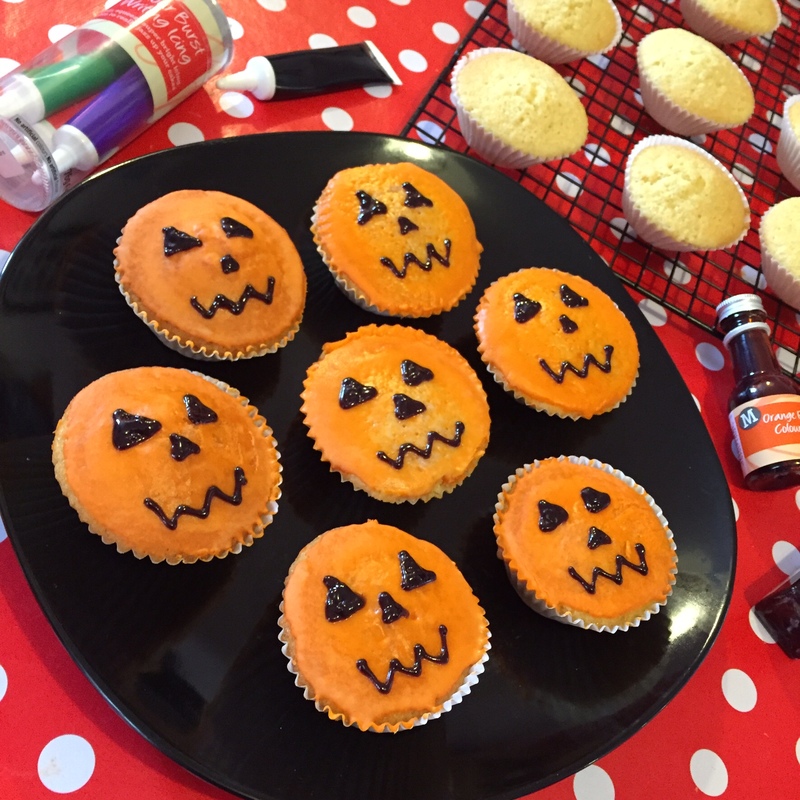 Then decorate pumpkin faces onto the cakes with the black icing pens. What do you think of our cakes? 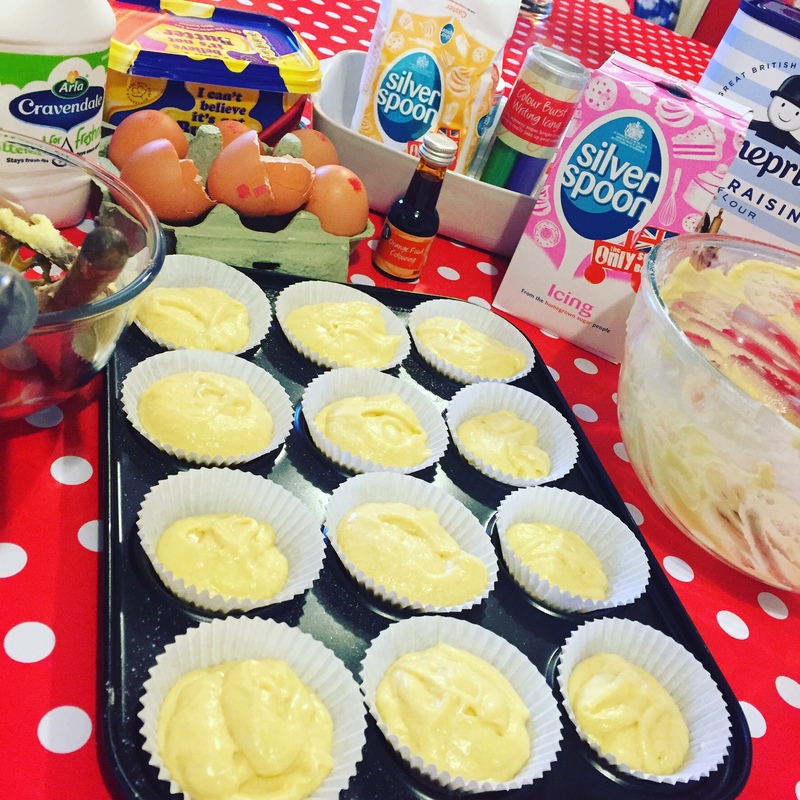 Have you been baking this half term?